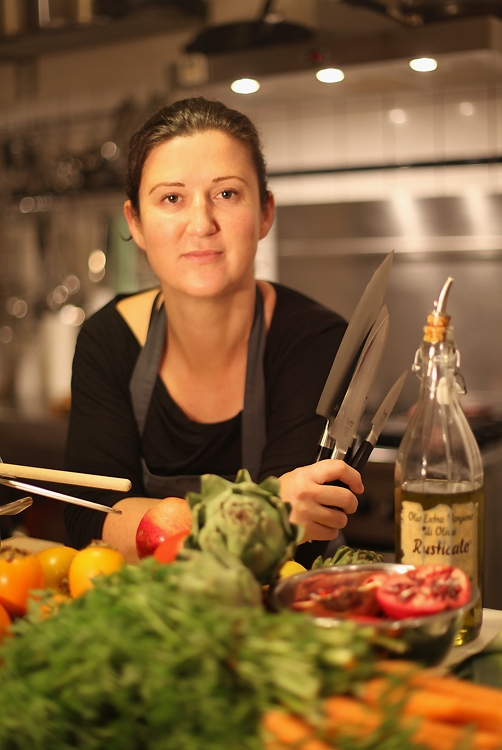 I’ve been cooking professionally for over 20 years – all around the world and in all sorts of situations. Trained as a chef in Sydney, I left Australia in 1997 to travel and explore and despite always meaning to, I never ended up ‘back home’. My culinary travels took me through Spain, France, Norway, the US, Lebanon and Scotland – experiencing so much along the way. Travelling and working my way across the planet further developed an already serious passion for new ingredients and great flavours, while working mainly as a private chef and caterer gave me the opportunity to bring great food and interesting flavours to lots of people; in their homes, at catered dinners and events – and I loved it! A special opportunity to spend several summers on Long Island, USA was hugely inspiring and a turning point for me. Stopping daily at all the farmers markets and road side stands, gathering freshly-picked ingredients, along with super fresh local fish and meat, I began creating a huge array of summer meals and hearty salad combinations – I could eat like this for life. CRAVE is all about sharing that passion for freshly prepared, health conscious and thoroughly satisfying food. And in order to make it accessible and easy for all – I now make it ‘ready-to-go’.